My story is a result of my trip to Mindanao. I'll be staying here for two years. I booked an airplane ticket five months ago to be here. To reach our place, I joined other travelers on a rented bus and enjoyed a Rent a Car Philippines service. There are many people who noticed my closeness to dogs. There's a story behind it. It doesn't happen overnight. When I was a kid, I don't like dogs. They're a waste of time for me. I have to feed them. They want to play with me. At that time, I only need them during track and field practice. 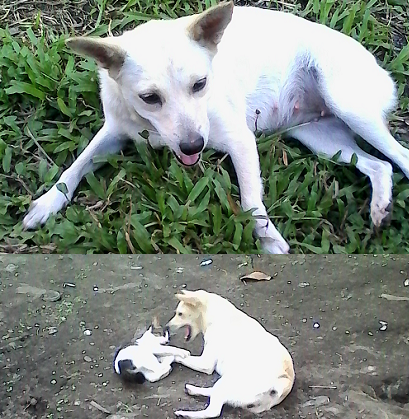 I was scolded by my mother because of hitting a pregnant dog. The dog messed with my school supplies so it really ruined my day. These days, I changed a lot. I no longer hate dogs. I love them. We adopted a sickly cross-bred puppy in a bid to stay safe at home after news of ruthless robbers circulate in our former place. Yes, she's sickly and we didn't know it. But we found out that she's really sweet. We named her Ice after days of thinking about a name for the puppy. A few days later, we saw a cute puppy in a popular shopping district. We adopted another one for another reason: we simply love the dog. Since Enzo stole our hearts, we became vigilant of our attitude. Enzo taught us to be humble and loyal. He's very protective. Of course, having two dogs is expensive. Later on, I found a way to lessen the money needed for their daily sustenance. Our dogs constantly travel with us. We can't just leave them behind. It 's unthinkable to be separated with our pets. Our dogs, Enzo and Ice. One time, when Enzo and Ice were left in the care of my husband's family, I met another dog named Chara. She didn't like me at first. But when I started giving him dog biscuits and cooked meat, we became close. All people in the community noticed our strong bond that they often wonder how I tamed the scary dog. She's a small dog, a third one of Chihuahua parents. Because I'm alone in the apartment, Chara accompanied me all the time. We would often visit the beach and roam around. The dog's owner told me to return the dog once Enzo and Ice arrive in the city. Chara has a friend named Tiger. He is also a dog of our neighbor. Unfortunately, he was abused by his owners. He was forced to be chained for days. As a result, the dog didn't want to eat nor drink water. Two weeks after the ordeal, they unleashed the dog. However, he developed extreme fear and went to the woods alone. My friend and I searched for him. He's gone for days. It was the rainy season so we're really worried for him. One day, we found out that he's already decaying under a bush. It's so sad we're not able to notice him. He didn't respond to our call. In a way, he committed suicide because of his abusive owners. When I learned about Tiger's fate, I really cried. He was a friendly and innocent creature. When Chara learned about her friend's fate, he didn't stop barking. Chara has also her own heartbreaking tale. During her second pregnancy, she's very pale. She labored prematurely one rainy night. The next morning, she took one puppy through her mouth and showed it to me. She kept on crying, perhaps weeping because of her dead puppies. It was a heartbreaking scene and I can't do anything to help her. No one survived. All the puppies were dead. Even now, I still think of Chara. We transferred to another apartment and I already accepted our fate. For once, we met in this world. Maybe, someday we will meet again. I salute you, dog lovers out there! I know how you feel every time a furry friend is in trouble. I know.